summoner: Tool for scaffolding completely configured production Haskell projects. 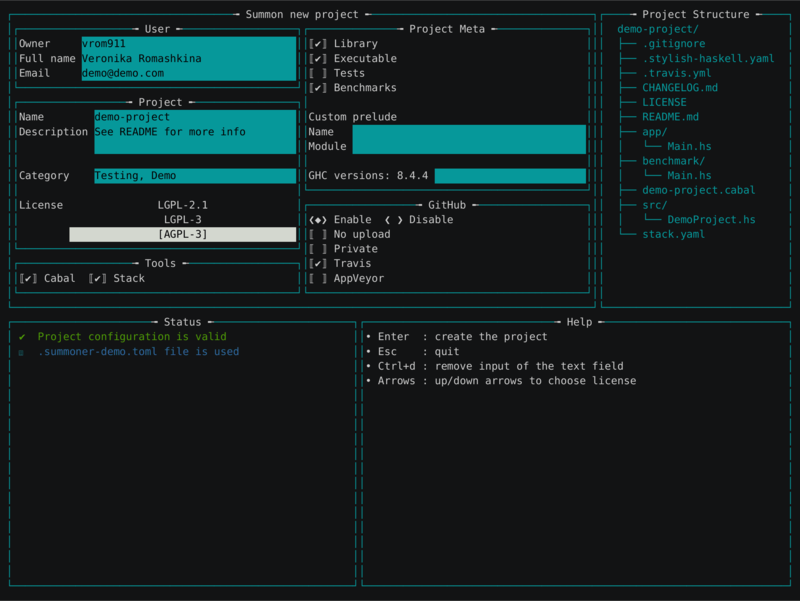 Tool for scaffolding completely configured production Haskell projects. See README.md for details. Summoner is a tool for scaffolding fully configured batteries-included production Haskell projects. 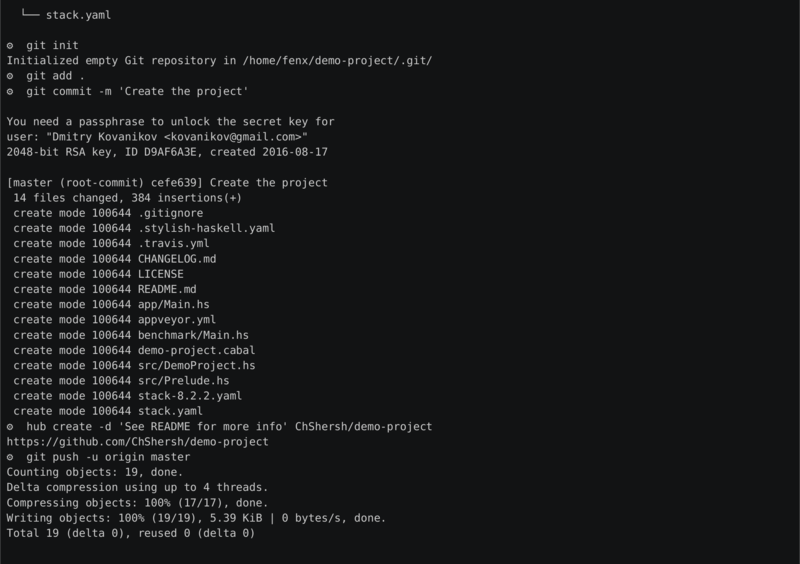 Generation of the .travis.yml file that runs build and tests on CI under Linux.